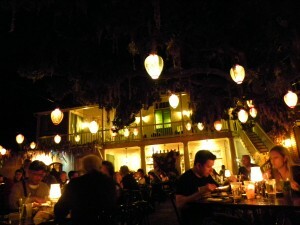 It had always been a dream of mine to be able to eat at the Blue Bayou in Disneyland. I would wish to be able to go and then quickly rule it out as it is not a budget friendly option… but with its location inside of the Pirates of the Caribbean Ride, the atmosphere alone called to me. Then finally on one vacation I was eventually worn down and I ABSOLUTELY LOVED IT! I have never regretted going and I think that it is worth every doubloon I have spent on it. The entrance into the restaurant can be found in New Orleans Square right next to the exit of The Pirates of the Caribbean ride. The restaurant, as I said before, is located inside of the Pirates ride and as you eat you have the pleasure to observe the excited passengers as they start their journey into the ride. My favorite place to sit is right along the waters edge because then you have a superior view of the bayou and its passers by as well as the restaurant itself. With its hanging lanterns and candle lit tables, the mood it set and you can enjoy your meal to the sounds of crickets chirping and the gentle slosh of the water as the boats float along. Make your reservation early on this one, they fill up fast. You can make your reservation up to 60 days in advance. You can do that here or by calling (714)781-DINE or (714)781-3463. However you cannot request a table on the water. You have to wait until the day of your reservation. Let them know that you would like to sit there when you show up for your reservation and they will check to see what is available. You may have to wait an extra 15-30 minutes but they can usually accommodate your request if you’re willing to wait. The food is amazing! My daughter and I both loved the salmon so much that we often daydream or fantasize about eating it. (I only wish I knew how to make something that wonderful.) 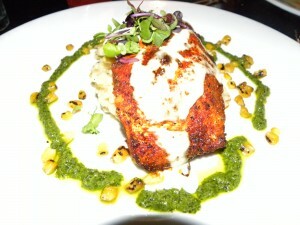 I have an allergy to gluten and The Pan Seared Salmon entree is Gluten free. When you make your reservation let them know about any food allergies they will make a note and when you arrive they verify with you. They will also send the chef out to your table so they can walk you through the menu and let you know what options are right for you. The meal came with gumbo or salad. I chose the salad option since it was gluten free as long as they leave off the cracker, the gumbo is not a gluten free option. They offered me another gluten free option as well for an additional charge and that was a shrimp cocktail. The meal comes with a regular bread basket which is obviously not gluten free, but there was no reason to fret. They brought me out some hot, steaming gluten free rolls and they made sure to bring me my own butter which I fully appreciate because cross contamination can be a real problem any time you eat out. They were so delicious, it was like they melted in my mouth! Since I already knew that I wanted The Pan Seared Salmon and The Sweet Corn Risotto it was a bonus for me that it was the only meal on the menu that was considered to be 100% gluten free. No changes needed. You can check out the menu and pricing here or download the free MouseWait app and find the info under Food/Menus. 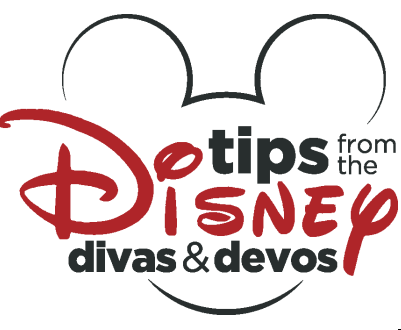 You can find more information on dealing with food allergies at Disney here. The Monte Cristo sandwich is only available at the Blue Bayou during lunch. If you are dying to have it for dinner you can still get it. 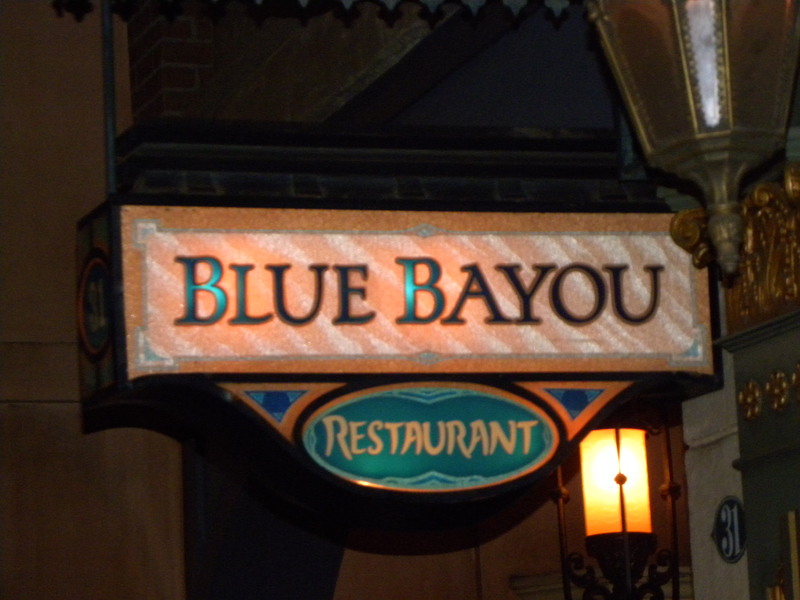 You just head around the corner in New Orleans Square and make a reservation to eat at Café Orleans. If you do that make sure you also get an order of Pommes Frites which are fried potato strips that are tossed with garlic, Parmesan cheese and parley. They are served with a Cajun Remoulade dipping sauce. They are super amazing but sadly not gluten free. They are fried in the same oil as the Monte Cristo Sandwich which sadly makes for a lot of contamination. Quite honestly I probably make the people around me slightly uncomfortable as I watch them eat their fries (yep that is what they are) slowly wiping drool from my mouth with a desperate look in my eyes. It’s only because I know what I am missing folks, there is no cause for alarm! You can also make a reservation at Café Orleans up to 60 days in advance here. You can usually get in without one, but you can easily wait anywhere from 30-60 minutes. They give you a buzzer and you can browse shops in the direct vicinity while you wait or just sit and people watch in what I consider to be my favorite part of Disneyland. Dessert, I look forward to this even more than the meal. 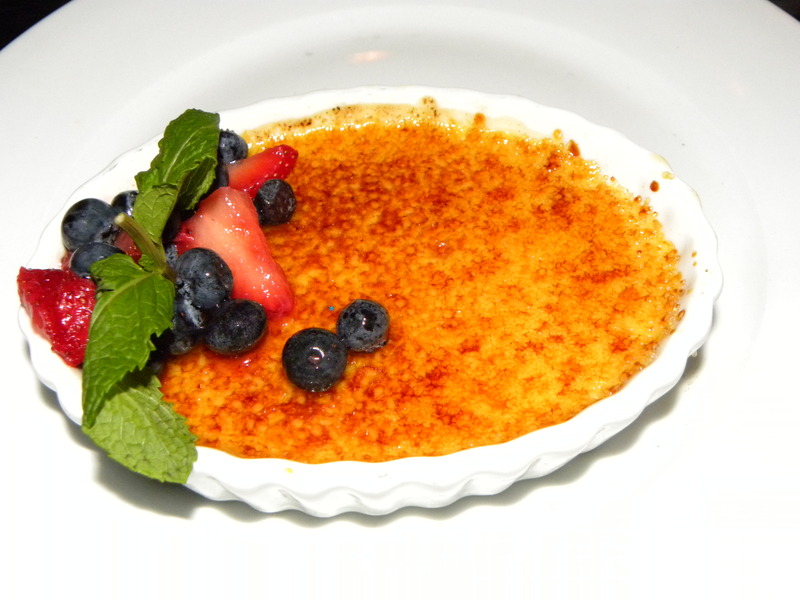 The only gluten free dessert on the menu is the Crème Brulee and it is absolutely to die for! It has the top spot for all-time favorite desserts! It was an absolute pleasure eating it again. 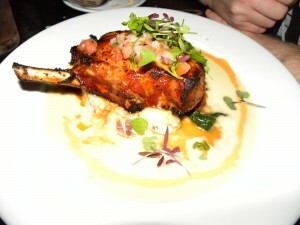 (The idea of ordering it this last time easily had me drooling on the way to the restaurant. When making or checking in for your reservation let them know if you are celebrating anything. They often want to do something to help make your celebration even more special. Since we went on our anniversary this last trip they brought out a pear sorbet for us to share and it was delightful. They took care to make sure what they sent out was gluten free and that made it even better because we were able to share. Even though the price per person at this restaurant is higher, I feel like it is worth those hard earned doubloons. You will get an amazing experience and a fantastic memory as well as an amazing meal, and if you’re lucky dessert. You will have a much needed break from the craziness of the world of Disney that can get overwhelming, even for us Disney fanatics, and during that break you will get to enter into another Disney created world and you will forget all of the craziness at least for a little while. 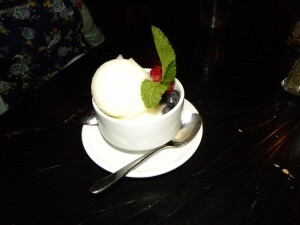 Pear Sorbet for our anniversary! If you are still worried about spending your pirate booty, you can get a discount annual passport holders can get 10-15% off (depending on which passport you have) and you can also get 10% off if you have a Disney credit card.